WWE (World Wrestling Entertainment) is the largest professional wrestling company in the world, boasting fans in more than 145 countries. The television shows reach more than 13 million viewers in U.S. alone, and online WWE discussion forums are constantly full of fans fervently discussing the latest outcomes and upcoming shows. The show’s choreography, intricately written storylines, and modifiable characters have even inspired the fan community to create their own text-based “fantasy” wrestling federation. The Leveling Up research team at the University of California, Irvine, part of the Connected Learning Research Network, has been studying connected learning in online communities since 2011. With cases that cover a variety of tech-oriented geeky populations, we were looking for a case that reached diverse youth. The WWE fan community was chosen for its diversity and for the ways in which it exemplifies the principles of connected learning. This case explores a particular WWE fan community called the Wrestling Boards (name of community and all individual names are pseudonyms), a forum community for wrestling fans. The forum community discusses matches, storylines, wrestlers, and other current events on a variety of boards. Encompassing a diverse, international group, the forum is open to anyone interested in professional wrestling, whether a ‘noob’ or an expert. It has many areas that allow WWE fans to talk about a multitude of different topics. For example, there are individual boards for specific WWE shows (e.g., RAW and Smackdown! ), boards for general WWE discussions, and boards for other sports discussions and for off-topic discussions. Fans also run a fantasy wrestling federation on a subforum called Over the Ropes. Unlike other fantasy sports, this fantasy wrestling federation is not played using real professional wrestlers; instead, it is a text-based role-playing game (RPG) where players create their own characters, including wrestlers, managers, interviewers, etc. These characters then participate in matches against each other as they work their way up to championship matches. The Wrestling Boards offers a place for wrestling fans to find community with other fans and to participate in a variety of activities. WWE and professional wrestling is often viewed as anti-intellectual; however, as will be seen below, the participants in this fandom develop a variety of life and academically relevant skills and practices. Storytelling is an important part of WWE, as well as critical to the success of the Over the Ropes fantasy wrestling federation on the Wrestling Boards. Since professional wrestling is scripted, compelling storytelling is an essential component of the shows. In Over the Ropes, the community collaborates in storytelling to create the universe, backstories of wrestlers, and feuds between characters. The interest in storytelling and narrative bring participants together and participation in the fantasy wrestling federation leads to a deeper level or intensification of participation. This intensification is tied to love of content and searching for more involvement in the content of WWE. 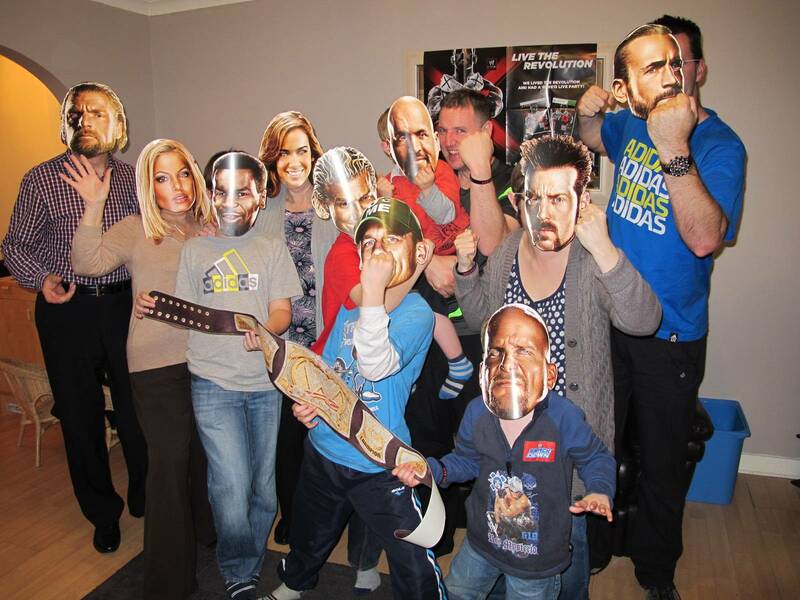 The WWE Universe is as vast and varied as one would suspect of a fandom with 11 million+ likes on its Facebook Page. Fans create and maintain a booming wiki, and wrestlers use Twitter and Facebook to keep their fans updated between matches, posting as their wrestling personas. The Wrestling Boards, like other forum-based professional wrestling communities, is a subcommunity of the larger WWE community. Participants draw in outside references through links to other professional wrestling news and forum sites, and clips from the shows, to enhance their experience together as well to educate each other. Crayo, one of the Wrestling Boards creators and administrators, is a 19-year-old from the UK. He started the Wrestling Boards with a friend to offer a place for people to be able to come together and discuss professional wrestling with other fans. The site has a fun and energetic feel and tries to welcome its new members and encourage them to participate at any level. For many participants, the Wrestling Boards community functions not only as a safe place to share their enthusiasm for professional wrestling, but also as an opportunity to improve their knowledge and other members’ knowledge through sharing information, feedback, and help. Zach, who is 17, from Europe, has a high level of skill with Photoshop. He teaches Photoshop to others on the forum so that they can create their own images and animated gifs to include in their signature. “Members often need help with graphics and I’m great with Photoshop so I offer a helping hand if needed.” It is part of the culture of the community to enhance the skills of its members whether they are directly related to wrestling like understanding the product or tangentially related skills like using Photoshop to enhance the participant’s fandom as well as helping them develop skills they can take beyond the community. Maria is a 17-year-old from the Philippines and in her first year of college. She has been a WWE fan for about four years, first watching just before she began high school. She didn’t have a local community to talk to about wrestling, except her little brother who began watching with her. Then, she found the Wrestling Boards and its fantasy wrestling federation Over the Ropes. Maria had dabbled with creative writing in the past, but this was the first time she was writing for an audience and with a specific purpose. Every week, she received feedback from the community about the quality of her work both in terms of content and form. Maria confided in her writing teacher about her enjoyment and participation in this fan community. He was the only teacher she told about her interest in professional wrestling. He encouraged her to join the school newspaper, and she wrote for the paper until graduation. She decided at college application time that she would not go directly for a degree in creative writing; instead, she decided that it was more practical for her to choose a degree as a medical technician where she could use her strong writing and grammar skills for technical writing, and then pursue her creative writing on the side. Through her work on the school newspaper, she discovered the variety of applications possible for her well-developed writing skills. Writing for the WWE fandom was the beginning of her exploration of different avenues of writing until she found and settled on her current path. The production in this community has a DIY fan-made feel, with some participants using this platform to improve their skills. This encourages participants, no matter their experience level, to participate, which lowers the barriers to entry. Barriers to participation are also lowered by the number of community members who reach out to new members and offer support. These low barriers to entry and participation help facilitate the community’s mission to educate others with the same interest in wrestling and help make the community as a whole into “smarks” (to use Crayo’s term). Jonathan remixes videos of wrestling shows for other participants who do not have direct access to them. “I upload short WWE clips for members, often like ‘best of’ videos and such.” These practices tie the entire Internet Wrestling Community together for members of the Wrestling Boards making it the place they can go for the information they need or want about wrestling. The booker, Sackfist, puts up a thread called the preview card, which shows which wrestlers will be matched together that week. Those participants whose wrestling characters have been chosen then start to develop feuds between their characters. The amount and quality of the participant’s activity will factor into who wins a match. At a certain point in the week, the preview card is closed and the show is handed over to the writers. The writers incorporate the reasons and backstory for the feud into their storyline for the week, and within a few days produce an entire show with multiple matches, commentary, interviews, and backstage interaction. These can range as long as 85 pages. After the show has posted the community jumps back in and writes reviews of the show giving critical feedback on the quality of creative work and writing. Taking part in a feud with another player in the fantasy wrestling federation is a way to work collaboratively and improve one’s status in the community. Each participant gets points for quality and quantity of participation. Together, the two players create a storyline for their feud which increases their participation in the forum, and the likelihood they will be booked for the weekly “show”. Zach, a 17 year old from the EU, said “I’d like to think that I work a comedian/snarky personality, but I will get serious as well. I really look into Over the Ropes and try to help them improve it by writing reviews of their work so they can improve.” Zach’s desire to improve the writing of the Over the Ropes weekly “show” demonstrates the collaborative nature of the creative process in this community. Social regulation and collaboration are the mechanisms by which the participants of the Wrestling Boards engage in shared purpose. The participants regulate social interaction through the social norms set forth by Crayo and the other cofounder. For example, Crayo monitors posts on the Wrestling Boards for harassment and bullying, which are strictly prohibited in the community guidelines. Wrestling Boards’ fantasy wrestling federation Over the Ropes is driven by a mix of social regulation and collaboration. Sackfist, the Booker and organizer for the fantasy wrestling federation, enforces participation rules, such as requiring members to review each week’s shows. An example of this is when Sackfist warns participants of the fantasy wrestling federation of the consequences of non-participation, “Two weeks and no rating is quite serious guys, your characters are going to be affected (i.e become jobbers). Remember to get booked, you gotta post, even if your [sic] not booked one week, you still post.” When the fantasy wrestling federation was starting a new season, the booker and writers had to remind participants not to refer to the old universe because they were creating a completely new series. Sackfist reminds participants that high quality posts are more highly valued in the fantasy wrestling federation. This case study reveals how complex and multifaceted the professional wrestling fandom is through the exploration of one professional wrestling fan community, the Wrestling Boards. Interest in professional wrestling brings members of this community together. The community members help and support new members, with peers coming together to encourage one another. Although the WWE is often viewed as anti-intellectual, this case study sheds light on the community mobilization, knowledge, and skills cultivated by the wrestling fandom. These academically-relevant skills, such as writing, digital media skills (i.e. videography, website design), and communication skills, are developed and strengthened through shared production and feedback and help given by other peers in the supportive and safe community. The openly networked nature of the community allowed fans to come together despite being isolated by geography and to draw from the rich resources of the open Internet. United by a shared purpose in maintaining a high quality forum and stories, the group offers ongoing challenges that evolve with the changing storylines in WWE and varied modes of participation in the community. While maintaining these high standards, the community is also welcoming to newcomers and has low barriers to entry, enabling accessible on-ramps to learning and participation. There are two big challenges for strengthening connected learning in this community. First, many participants sought out this space because they did not have a local community who supported their interest, or they found sharing their interest with others had a negative social impact on their lives. As a 15 year-old, Jonathan faced this stigma in his local community, “No one that I know likes WWE as they see it as being ‘childish’ or ‘immature’… just because it’s rated PG.” Cloud, a 28 year old, also feels the pressure from his peers: “Being from the UK and of the age I am it tends to be looked down upon a little over here and especially with a lot of people my age.” These barriers to youth being willing to openly share their interest can make it difficult to connect their activities in the wrestling forums with other parts of their life and learning ecology. A second, related challenge is that many educators and potential mentors are unlikely to consider a professional wrestling interest as academically relevant. Just as educators are increasingly appreciating the role that electronic games can play in learning, popular culture like professional wrestling can also be a way of connecting youth engagement with learning. As we seek to broaden access to connected learning experiences to diverse youth, it is imperative that we meet these youth where they are, creating and building on non-judgmental spaces – in this case, WWE fan communities. Photo credits: Simononly and THQ Insider. Originally posted to ConnectedLearning.tv on March 19, 2014.